The PayDock Values are central to everything we do and drive us to deliver better and more beautiful payment experiences to benefit our customers, our staff and the community. 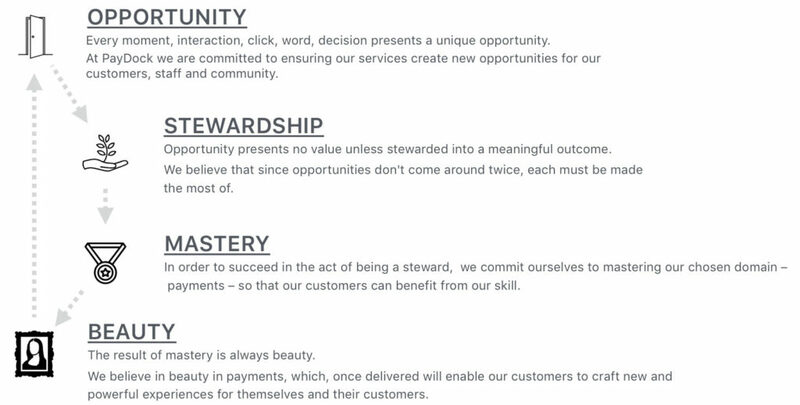 We’re a payments company, but it’s our values that distinguish us. Please contact us if you would like to know more about our values.